Each month we’re overwhelmed by the achievements of all of the Tri Energy athletes. Their stories are remarkable, their support and comeradie for others is second to none; and those very words can be said about this month’s athlete of the month…Charlie Mc! 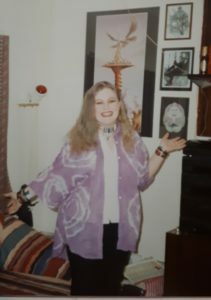 “In my late teens/early 20’s I was struggling being overweight, so I started following weight loss programs and exercising (aerobics’ classes at local leisure centres). I lost my weight and maintained it after 2 children so then I had the confidence to join a gym….but disaster stuck and I injured my back. That’s actually when my running journey started (January 2016). I started to run to keep my fitness levels up while I couldn’t train at the gym but instead I fell in love with running. The long walks with Pep (my dog) became speed walks, which quickly progressed into walk/runs, then the running bits got longer and longer and the walking bits got shorter until I released Pep and I could keep going and cover more distance together, just the two of us. I loved the sense of freedom to go wherever we wanted, the beauty of the nature and landscapes and the “headspace” it gave to me, I found it therapeutic, a break from being a busy working mom time to clear my head. 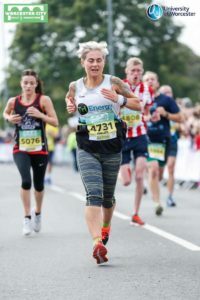 By January 2017, we were covering half marathon distances on Sunday mornings, so I nervously registered my very 1st running event (Worcester Half Marathon May 21st 2017) and enrolled onto Tri-Energy 10wk course to pick up tips on nutrition/diet/hydration/running a race. It was so lovely to meet like-minded people who loved running and would support each other. 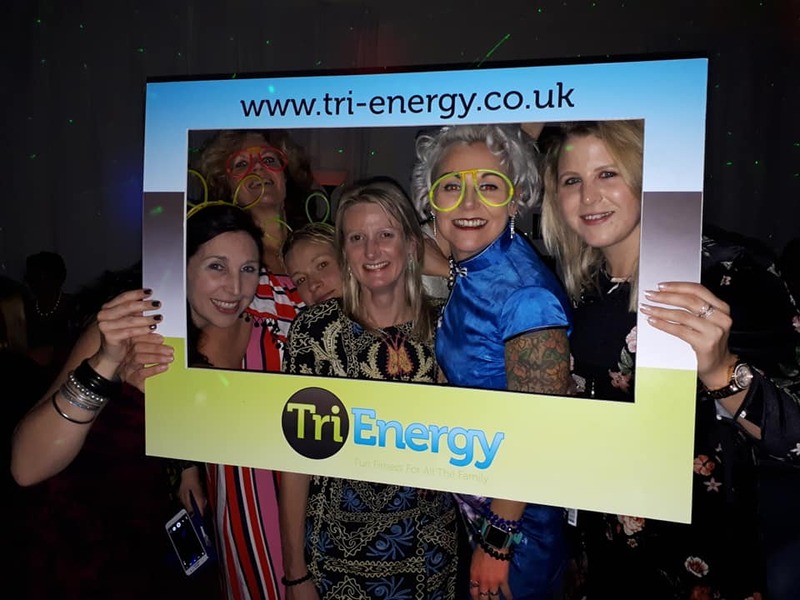 I have never regretted the decision to join Tri-energy, the members and coaches are so supportive and encouraging regardless of ability. Of course, my running has improved massively from running technique to speed & pace but for me the most rewarding part of it is the sense of community and the strong friendships I have made. Anyone new to running I feel should start slowly and build up gradually over time and you will be amazed how quickly you will progress and improve and you can achieve great things. My motto is to race my own race, at my own pace, compete against yourself and you will be great! Most people from the club know about my love of a cup of tea and Tri-A-Cuppa was born from the post run cuppa’s and chats with other group members in the club house on a Monday night. It gave us all a chance to mingle and have a laugh with members whether you were from Run Fit or Run Fitter and now next steps. We are all on a running journey just at different points, we shared ups and downs, good runs/bad runs, discuss the nerves and shared the joy. We found that we are not unique, we were all trying to be a better runner. Tri-A-Cuppa Socials were a way of raising money for charities like Wyre Forest Nightstop etc and to socialise and Kemp Hospice is a charity close to my heart after the loss of a lovely friend/work colleague Deborah Carolan. 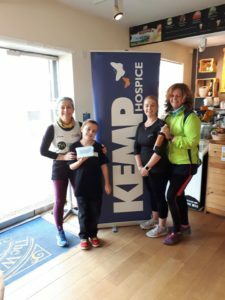 It was Debs’ wish to raise money for Kemp Hospice to give something back to the charity that cared for her during her brave fight against cancer which she unfortunately lost in August 2017. Whenever I run an event I am ‘Doing it for Deb’ and this is written on all my race numbers. My best running memories are the Worcester Half Marathon (May ’17) as you never forget your 1st!! Worcester City Half Marathon (Sept ’18 1hr:46:48) for my half marathon PB and seeing an improvement from the previous years result and Ironbridge Half (March ’19 1hr:50:09) as it was challenging but the prettiest route to date. I hope I stay strong, fit and injury free so I can keep running and enjoying my runs as running gives so much more that it takes away. I hope to continue to be there to help and support other members, as being asked by someone if they can run with me to train for an event (from 10k’s to Marathons) makes me feel so proud and honoured.